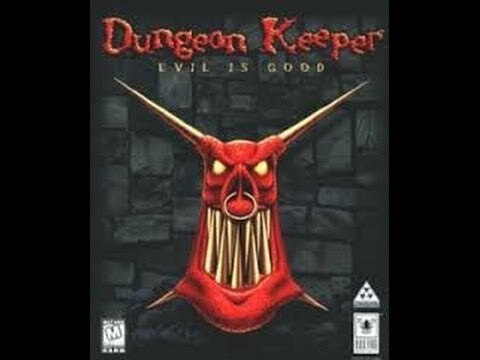 "Dungeon Keeper" cast you in the role of the villain, building a dungeon that could slay waves of heroes intent on plundering your booty. Most games cast you in the role of the hero. Mario saves the Princess. Mega Man defeats Dr. Wiley. The hunter in 'Duck Hunt' tries fruitlessly to buckshot the grin off that giggling dog's face. Enter "Dungeon Keeper," a strategy game that puts you in the shoes of a dungeon master (no, not that kind) whose sole purpose is to take over the world and slay any hero that dares enter your crypt. You can play the 1997 classic from Bullfrog Productions right now, thanks to Electronic Art's "On the House" promotion from its Origin service! Disclaimer: This game is rated "M" for Mature audiences over the age of 17 by the Electronic Software Ratings Board. Click here to download "Dungeon Keeper"
To download the game, you'll need to register with an EA account and download the Origin client onto your computer. It's not aesthetically pleasing, but if you've been following this blog you should have already downloaded Command and Conquer: Red Alert 2, Syndicate and SimCity to this point, three great EA classics. Dungeon Keeper is another great entry in the "On the House" promotion. For questions on downloading, check out EA's help page. You're given an overhead view of your dungeon in the game, using resources to construct elaborate traps and spawn demons to carry out your sinister tasks. You can even "possess" certain minions in the dungeon, giving you a rudimentary first-person view of your creation. The final boss in the game (19-year-old spoiler!) is The Avatar or "the stranger" from the Ultima series of games. Bullfrog Productions was founded by Peter Molyneux, who oversaw the two-year development of "Dungeon Keeper." You'll know Molyneux as that guy that tends to make lofty promises about his games that never come to fruition (see: Black & White, Fable). Bullfrog's most popular game was Populous, a 1989 release widely regarded as the first "god game," or title that gives you control of a deity. Molyneux left Bullfrog after the release of Dungeon Keeper, and a sequel was developed without his involvement. Dungeon Keeper 3 was planned, but cancelled. Do you like the idea of building your own dungeon? Rather play the villain than the hero? Let us know in the comments below, and check back soon for another free game.